Through out the years the holidays have become pricier every year. From the lights we hang outside our houses, to the copious eve’s diner we savour and the numerous gifts we buy for our family and friends, the bills pile up very fast. While it is pretty hard to avoid that debt from happening, there are some ways to manage them and plan an easy-breezy repayment. Don’t put yourself down or tell yourself you made an error. You are not alone in this situation and almost everyone how some amount of money after Christmas. The first step to setting up a repayment plan for yourself is going to be accepting you have this debt. You cannot go back you can just plan and repay. Since most of your debt is probably on your credit cards, try and only use it for emergencies. Always use the money you do have before and if you are missing some for your necessities than use your credit cards. After the holidays, credit card companies usually offer their customer the opportunity to make their limit higher but it is not a good idea to accept that offer. By making your limit higher it will not diminish your your debt but only make you think you can spend more, which is the worst idea ever. To achieve this goal, you can set up automatic payments with your bank or credit card company to allow automatic withdrawals from your checking account to your credit card every month. This way, forgetting about your payment will no longer be an option. Making a budget is one of the best ways to save money and keep track of where your money is spent. If you set aside pre-decided amounts for specific needs, like groceries, clothes, transports and others, you will be sure not to surpass that amount and therefore not spend too much. 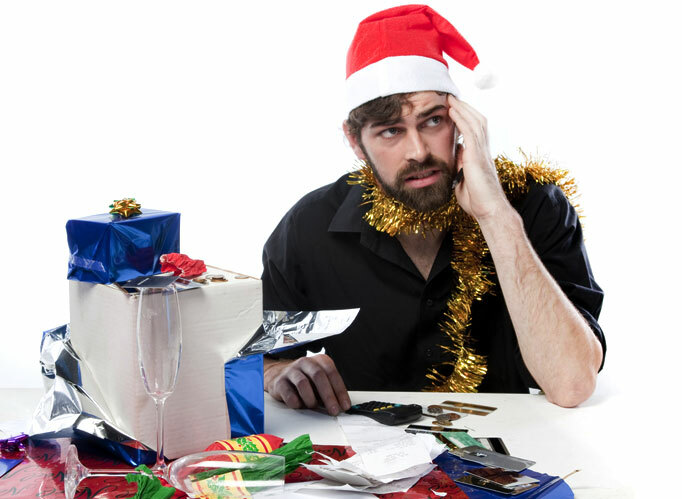 Especially after the holiday period, you may need to restrain your spending to the very minimum to be able to eventually get rid of your Christmas debt. Try to calculate how much time it will approximately take you to repay your debt. You may also try to set a goal date at which you would like to have repaid everything. This will help you stay motivated. Instead of randomly pay your debt with various amounts, plan in advance how much you will put toward repaying after every pay. For example, it is you know you can live with 75% of your salary, automatically put the other 25% towards repaying your debt as soon as you receive it.